Whether it’s a need for a proven style system or a requirement to express uniqueness, style is deeply, truly and conclusively personal. Each of the 16 Style Types approaches style in their own unique way. In this article we’re going to discuss the Appropriate Stylist, ISTJ: The Style Organizer. Here at 16 Style Types we differentiate between style essence and style expression, and our focus is on style essence. Which is why you won’t find any specific style advice on your style expression in this article such as which colors, silhouettes, styles of clothing, brands and so on will suit you – and that’s because your style essence doesn’t determine or even indicate what those elements of style expression are. Women with the same Style Type, for a variety of important reasons, may not find the same kinds of clothing suit them. What they will have in common, though, are similar ways of acquiring trusted information, evaluating options, making choices, and experiencing style in significant ways, which are the concepts we focus on in this article. Any images in this post are to act solely as possible interpretations of the spirit of this Style Type, (not as a literal example of what this Style Type may wear, might suit them or what they may choose to wear, and certainly not as a recommendation of what they should be wearing). The images exist only to illustrate and illuminate, not mandate or dictate. The articles are also published in their Style Type pairs showcasing images which may serve to illustrate the differences (again in essence) in those pairs – so here that means ISTJ with ESTJ. Each of the 16 style types has very different needs and motivations when it comes to identifying their style journey. For many ISTJs, style is about looking presentable and respectable. Style is about presenting their personality in a visual way that matches their mood, putting their best foot forward. ISTJs will take care with their style, often in a quiet but definite way. ISTJ’s are quiet and reserved, with a primary need for a sustainable, peaceful and secure life path. Excellent at following through on tasks, ISTJs are loyal and dependable and have a great sense of duty. Rules, procedures and traditions are important and ISTJs will exert considerable energy into upholding them, as well as completing tasks and obligations. Drawing heavily on past experience, they are great planners and are capable and organized. 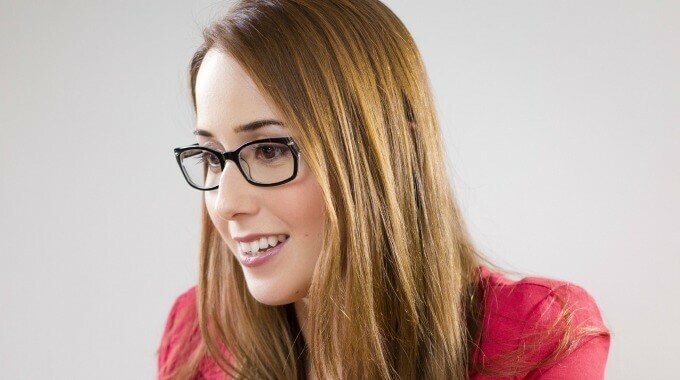 Here are seven proven methods the ISTJ can use to chart her style course. For ISTJs, their style journey may start slowly and develop over time. Depending on her chosen field of work, putting time, effort and money into her style may be an accepted part of getting ahead and being seen as a capable professional. For other ISTJs, style may be less of a priority at certain points in her life, only coming into the fore when a catalyst prompts her to pay closer attention to it. At her stylish best, the ISTJ will recognize the value paying attention to style is in her ability to confidently put her best foot forward. ISTJs thrive in environments that are built on a personal organized structure, and this can be a huge style advantage. The stylish ISTJ arranges her wardrobe with symmetry and simplicity, she has a structured and detailed approach to getting dressed, often favouring capsule wardrobing or even a “uniform” approach, using a streamlined and pleasing color palette where everything coordinates, and silhouettes and shapes that do the same. Her style contains the structure and order she needs – and arranges – in all aspects of her life. When convinced that style is worth investing in, the ISTJ will approach the task with efficiency and meticulous care. Precision is important to ISTJs, who can lean into perfectionism as they quest to do something to its very best. ISTJs have a need for serenity and calm in their lives, and this can be parlayed into their approach to style. The stylish ISTJ will do well to never wavering from these core needs – anything too flashy, bold and attention-drawing will likely upset her inner equilibrium, so she is advised to go with what soothes her spirit, with appropriate, peaceful and practical being key style touchstones and watchwords. Many ISTJs report they are most comfortable in casual clothing, as comfort is so very important to their sense of order and ability to move, and to forget about what they’re wearing – knowing it is absolutely right. Fabric must feel good on the skin and behave properly, the cut must feel great, the construction of the garment must be appropriate. The ISTJ will also assess and then alter what she’s wearing to suit the situation – she is always, always appropriate. Even if she’s just at home for the day, she will wear what is best for that day— it may not be high style, but it will always be presentable. ISTJs love to find then adhere to procedures, rules, traditions and policies they believe in. Not comfortable breaking sensible rules, this is an advantage to the stylish ISTJ who should embrace this aspect of who she is –she will feel so much more comfortable coloring within the lines. Finding a style structure and set of rules acts as a solid and confidence-inspiring foundation for ISTJs charting their style course. ISTJs are the most like style type to want to know and follow style rules – both universal style rules that will ensure they are always appropriate, and also specific style rules for their physical features, to bring out their best and allow them to put their best style foot forward. The turning point is often feeling stuck in a rut due to not having enough style knowledge or having too limited a definition of style, so that style is predictable and a bit dull. The ISTJ may feel her style “isn’t me” in some important (yet possibly indefinable) way and does not adequately portray her authentic self. 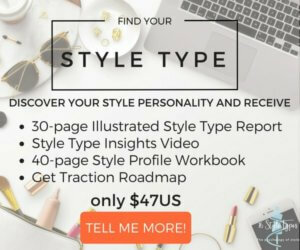 This is a great catalyst for the ISTJ to get some quality style education, tap into her inner style muse, and chart a style course that is absolutely right for her. The stylish ISTJ will thrive when her sense of appropriateness, function and organization can shine through – if she trusts herself, she can be confident her style will be beautifully expressed and maintained from a solid foundation of understanding her style essence. ISTJs have an appropriate, organized style when they are their stylish best. In the style blueprint (part of the ISTJ Style Report which you receive when you discover your style type), we describe four stages an ISTJ is likely to go through as she explores and discovers for herself what style is, and means, to her – a helpful handbook for the appropriate stylist, the ISTJ organizing her best style pathway.